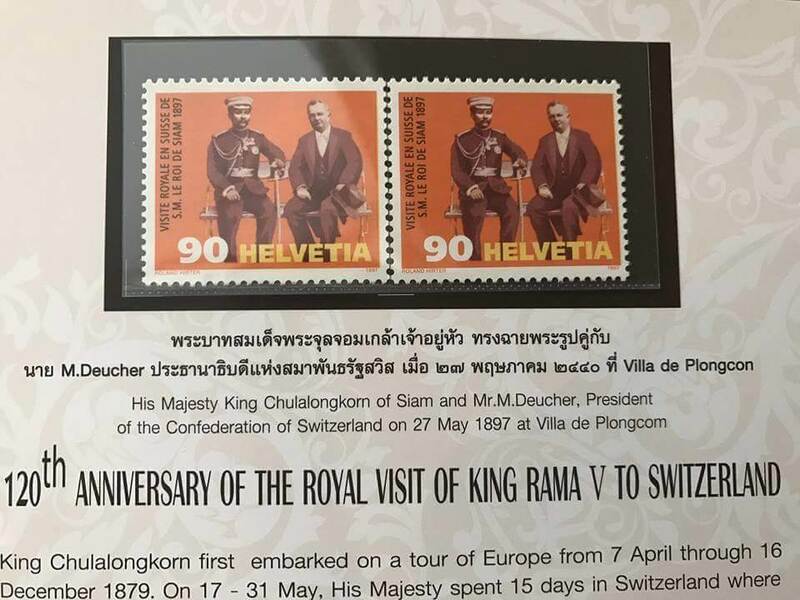 The Swiss Student Alumni Association brings to you a very special “Siam-Swiss Centenary Stamp” jointly produced by the Royal Thai Embassy in Switzerland and Swiss Post to commemorate the 100th anniversary of King Chulalongkorn’s visit to Switzerland in 1997. This year marked the 120th anniversary of this occasion and we brought the last batch of this special stamps to collectors in a special package of two stamps and their history. 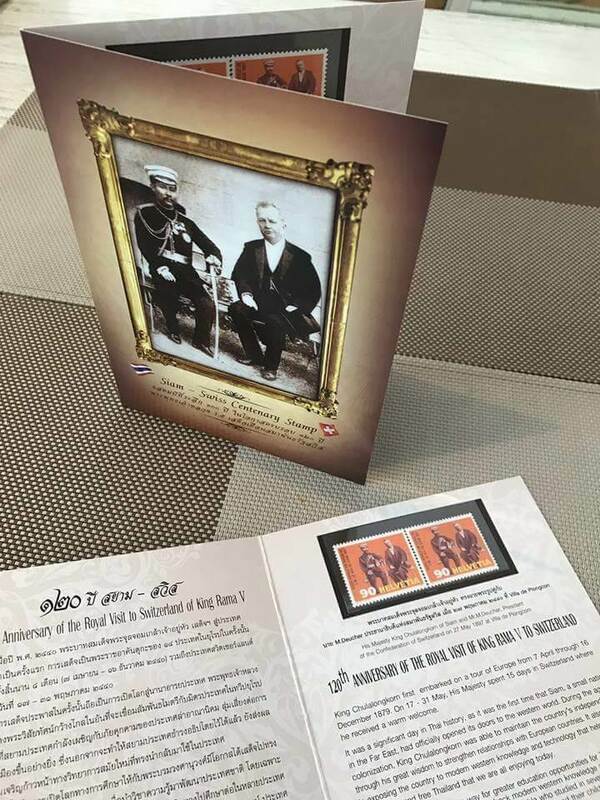 The Siam-Swiss Centenary Stamp is available at 250 baht per pack. Proceeds after expenses will go to Student Alumni Association’s 70th Anniversary Scholarship to provide education opportunity for underprivileged students and to Wat Chan Chalermprakiat Hospital’s medical equipment purchase project. The stamps are now available for sales at 250 baht at Post Office Bang Rak building or call Khun Ekthana at Tel.089 816 6908 for more details and purchase. Or you cou can transfer the money to the Association’s account and fax the slip to 02 267 1822.